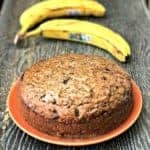 Easy, Instant Pot Low-Carb Banana Nut Bread is a quick pressure cooker recipe for homemade, healthy dessert with fruit. This bread is soft, moist, and delicious. You can even spread it with butter and serve it for breakfast! 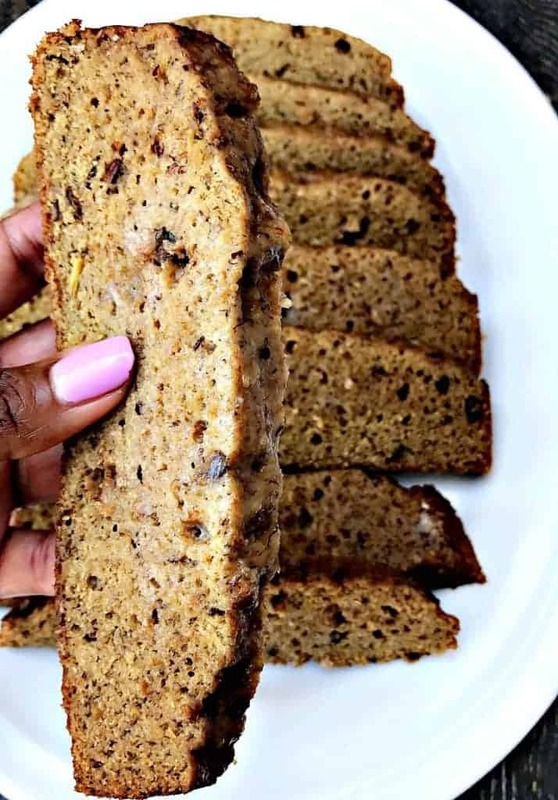 This Instant Pot Low-Carb Banana Nut Bread was developed because it is entirely too hot outside to turn on the oven! It has been 100 + degrees in Kansas City for a long time now! Ok, maybe it has only been a week or two, but with these recent heat advisories, it definitely feels like it has been an eternity. Instant Pot recipes have been my saving grace this summer. I can still enjoy a lot of my favorite recipes without having to sweat it out in a stuffy kitchen. Here is the pan I used for this reicpe. I have used it for Instant Pot Cheesecake, too! LIFESAVER! Growing up, my mom made banana nut bread often. Vividly, I still remember the old and tattered, yellow cookbook that she used for a lot of her recipes. She still has this cookbook today! It pre-dates me and is well over 30 years old. Most Sunday mornings, my mom would whip together a small batch and throw it in the oven for my brothers and me before church. Before leaving for church, I would spread butter over a warm slice. Oh, the nostalgia! 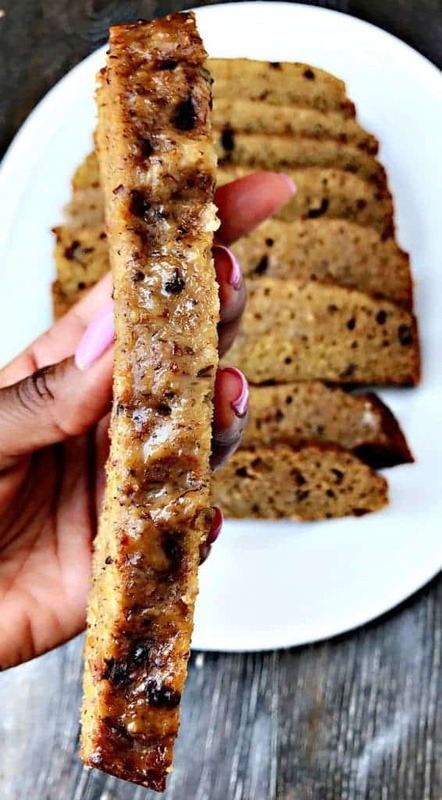 I created a similar vibe this past Sunday and whipped up this banana nut bread early in the morning. Sunday brunch plans were on the agenda for the early afternoon, so I had to exercise self-restraint and limit myself to just one slice. I did a few things to lighten up this recipe. 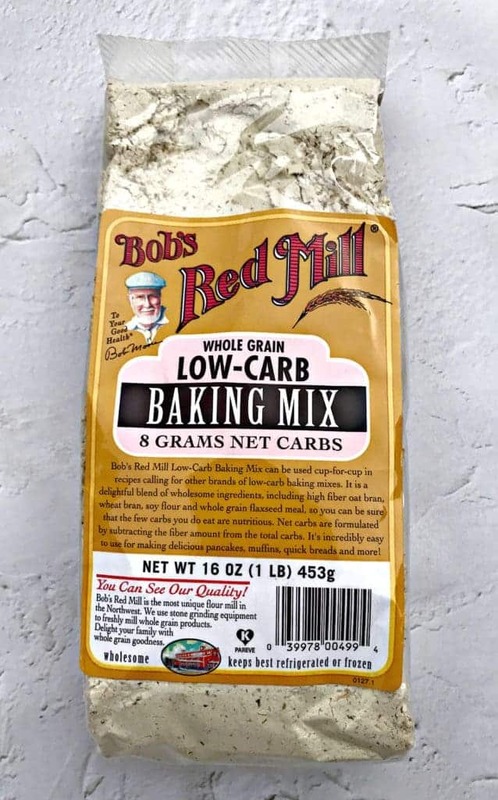 Instead of white flour, I used Bob’s Red Mill Low-Carb Baking Mix. Using this mix, I was able to obtain really favorable macros for this recipe. This is my first time using this baking mix. 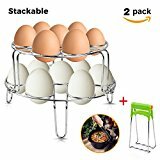 I will definitely use it again in future recipes. Also, instead of using a full stick of butter, my mom’s recipe calls for this 🙂 I used 2 tablespoons and substituted the remaining serving for unsweetened applesauce. I have used applesauce in place of butter in a lot of my dessert recipes. It works really well. Greek yogurt is a great option, too. Next up sugar….I used a lot less. The bananas you select for this recipe are VERY important. You want bananas that are fully ripe, to the point the bananas look like they are going bad. In hindsight, I believe this is why my mom made banana bread on Sundays. She was using the leftover bananas that remained from our “cereal with sliced bananas” breakfast that we ate each morning before school. 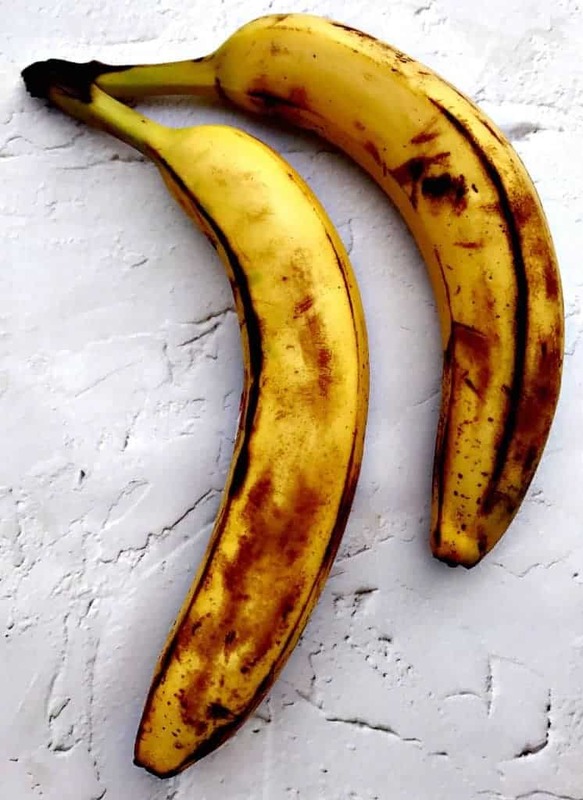 Fully ripe bananas are usually much sweeter than the greenish-yellow bananas, or even the fully yellow bananas. Brown spots indicate the sugar content has risen. This supports my take on why you should not have to add a ton of sugar to this recipe. A fully ripe banana does a lot of that work for you. I was provided free samples of the baking mix used in this recipe from Bob’s Red Mill. All opinions are my own. 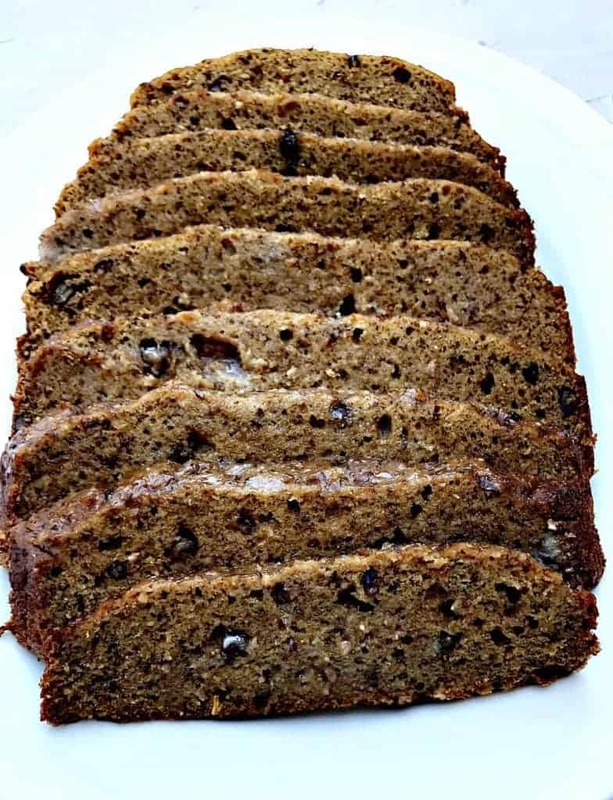 Instant Pot Low-Carb Banana Nut Bread is an easy pressure cooker recipe for homemade, keto friendly, healthy dessert with fruit. In a mixing bowl, mix sugar, softened butter, unsweetened applesauce, and eggs. 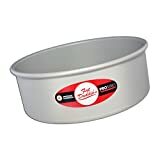 Using a mixer or hand-mixer, beat until smooth. Scrape the sides of the bowl and ensure everything is fully mixed. Add the mashed bananas to the wet ingredients. Fully mix. With the sweetness of the bananas I can definitely get on board with less sugar in this classic recipe! Looks delicious. If I can ever figure out my off-brand instant pot, I am so making this. My freezer always has way too many bananas. This is so friggin’ smart! I have an instant pot and I’m making this! I might be the only blogger I know who doesn’t have an Instant Pot yet, but the more I see yummy and easy recipes like this one the more I’m beginning to feel convinced I NEED one. Yummy! We love banana bread in our house! We normally swap out the butter for sweetened apple sauce and skip the sugar all together. Totally going to have to try this recipe… it looks amazing! This looks delicious! I’m not fond of banana bread but my hubby is and I’m always looking for a good recipe so he can have his fix! He will thank me! So, I thank you! 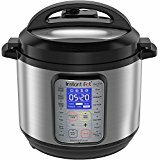 I still do not have an Instant Pot but should really get myself one because they are so versatile! If I can make a delicious, banana bread as good looking as yours, I’m sold! OH I am so jealous I still don’t have an instant pot!! This looks so good. I love the color and the texture. YUM!!! That looks amazing, and I can’t believe it was made in an Instant Pot! I think I’m finally going to have to buy one – it has so many benefits! I enjoy a nice slice of warm bread. Banana nut is one of my all time favorites. Well, I just learned two things! One- that you can make bread in an Insta-pot. Two that you can buy low carb baking mix! Awesome! Wow! I love Banana Nut Bread but would never have thought you could make it in a One Pot. Very cool! Loving all of these instant pot recipes! This looks like a great one! I love a good banana bread! I don’t have an instant pot yet, but saving this for when I do! Pinning this to my low carb board on Pinterest. We are doing the low carb thing and I am dying for some new recipes. Thanks so much!! No way! You can make this in your instant pot?! How awesome is that! What? Dessert bread in an Instant Pot? I didn’t even know that was possible. I don’t have one, but I keep seeing reasons to get one! I have a hard time believing this is low carb and that the macro’s listed above are liget. You’re free to put the ingredients by serving into your favorite calculator. I use MyFitnessPal. Made this today. It’s okay but it needs work, we didn’t feel like it was sweet enough or have enough banana flavor. Hi there! I am not a fan of rich and overly sweet foods, so this is the perfect balance for me. This recipe is designed to be low carb, if you wish to add more sugar, I recommend using the brand Swerve, that is natural, zero-calorie, and has no aftertaste. If you would like more banana flavor, I recommend adding a little banana extract. Thanks for trying my recipe! can this recipe be cooked in a regular oven? I see no difference in the time from any read recipe. I do not have an instant pot. Hi there! Yes you can make it in the oven. I have not tested this combination of ingredients outside of the Instant Pot.